The United States will offer to help Nigeria’s new leader track down billions of dollars in stolen assets and increase US military assistance to fight Islamic militants, US officials said, as Washington seeks to “reset” ties with Africa’s biggest economy. The visit to Washington by President Muhammadu Buhari is viewed by the US administration as a chance to set the seal on improving ties since he won a March election, hailed as Nigeria’s first democratic power transition in decades. US cooperation with Buhari’s predecessor, Goodluck Jonathan, had virtually ground to a halt over issues, including his refusal to investigate corruption and human rights abuses by the Nigerian military. 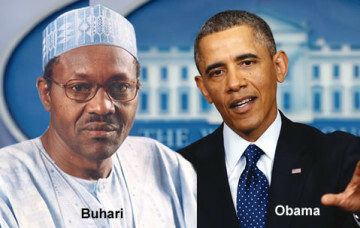 “President (Barack Obama) has long seen Nigeria as arguably the most important strategic country in sub-Saharan Africa. “The question is: would there be an opportunity to deepen our engagement? That opportunity is now,” US Deputy Secretary of State, Tony Blinken, told Reuters. The improving ties with Nigeria, Africa’s biggest oil producer, came as US relations have cooled with two other traditional African powers – Egypt and South Africa. US officials have said they were willing to send military trainers to help Nigeria counter a six-year-old northern insurgency by the Boko Haram Islamist movement. Since Buhari’s election, Washington has committed $5m in new support to a multi-national task force set up to fight the group. This is in addition to at least $34m it is providing for Nigeria, Chad, Cameroon and Niger for equipment and logistics. Buhari’s move on July 13 to fire military chiefs appointed by Jonathan cleared the way for more military cooperation, US officials said. “We’ve made it clear. There are additional things that can be done, especially now that there is a new military leadership in place,” a senior US official said. Another senior US official said Washington was urging Buhari, a Muslim from the country’s North, to step up regional cooperation against the militants and to provide more aid to afflicted communities to reduce the group’s recruiting power. Buhari has said his priorities were strengthening Nigeria’s economy, which has been hard-hit by the fall in oil prices, boosting investment and tackling ‘the biggest monster of all’ – corruption. In 2014, the US took control of more than $480m siphoned away by former Nigerian dictator, Sani Abacha, and his associates into banks around the world. Washington has broad powers to track suspicious funds and enforce sanctions against individuals.